Antonio Cassano may have been on the receiving end of La Roja’s 4-0 thrashing of Italy in the UEFA Euro 2012 final, but the Azzurri number 10 has managed to grab something bigger than a European title. “This is a wild and unbelievable story for me. 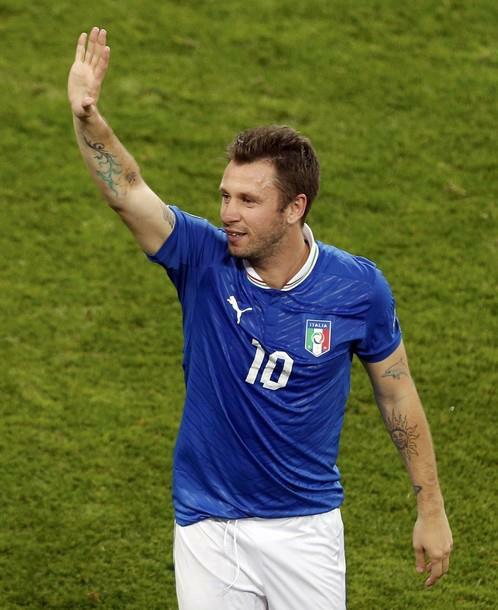 One minute I’m battling for my life, the next I’m in the final of the Euros,” Antonio Cassano. How bitter sweet the world of football can be in a space of ninety minutes, when pure joy can be turned upside down in a blow of a whistle, and it so uncannily presented itself like that on October 30, 2011.